I love this clip from Portlandia (heck I just love Portlandia). I see shades of the show’s cultural color right here in my home town KC. Which is why a Portlandia wedding fits right in - well maybe not quite to this extent. Although this couple starts off with plans of never-before-done-in-a-wedding, the end result remains the same. (Spoiler alert!) They get married! 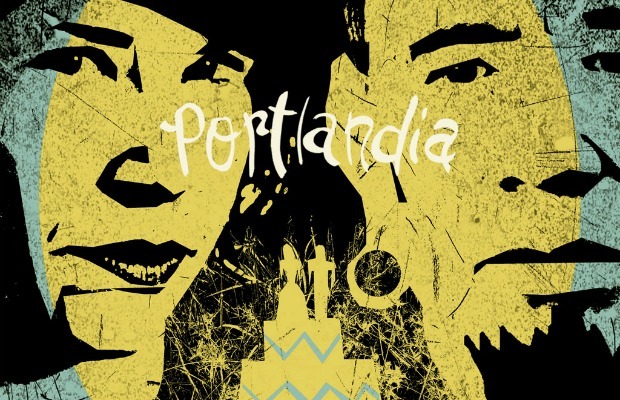 (see Portlandia Cool Wedding for the entire episode). It seems that weddings today don’t rate if your personal stamp isn’t on it. Pinterest is flooded with those same never-before-done-in-a-wedding ideas that everyone is doing, even The Vow Exchange to a certain extent. But just as Spyke and Iris learn, it doesn’t matter if your guests are seated in a scatter with Dad off in a corner, at the end of the day you are married to the one who matters most. What makes this day so memorable is how much love you feel for your new husband or wife. Believe me when I say that it is your love that is the best thing never-before-done-in-a-wedding.